There's been a lot of talk that Audi has replaced BMW for the car of choice for America's douchebags. 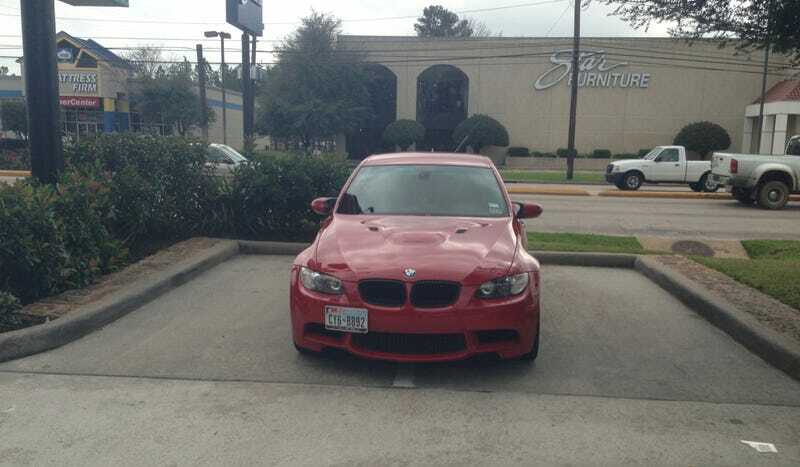 This BMW M3 provides evidence to the contrary. Our tipster tells us "Of course the lot was full with no other spots." Of course. This parking job isn't as brazen as the BMW that parallel parked over two handicapped spaces or the BMW driver who expected a twelve-wheeled dump truck to back up for her, but it's pretty bad.